We offer all our guests a warm welcome in an informal and friendly atmosphere. Our rooms are spacious and tastefully decorated to ensure a comfortable stay. One of our bedrooms is situated on the ground floor, and proves to be very popular with guests who have difficulty with stairs. Skipton is known as "The Gateway to the Dales." 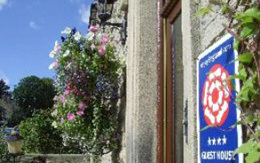 Explore Malham, Grassington, Kettlewell, Bolton Abbey and the many other sites and attractions of the region. We are approximately 8 minutes walk away from Skipton's bustling high street with its fine selection of shops, Medieval castle and traditional open-air market. Follow the leafy woodland walk behind the castle, where herons, kingfishers and deer can sometimes be seen or unwind by taking a boat trip on the Leeds and Liverpool canal which runs through Skipton. Skipton Park Accommodation All the rooms have en-suite shower facilities, remote control colour TVs with Freesat HD and hospitality trays. We pride ourselves by serving quality breakfasts in our dales-style dining room (all dietary needs are catered for). 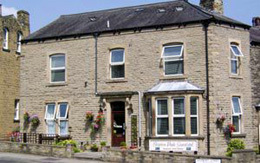 We are close to the centre of Skipton and are a perfect base for discovering the picturesque Yorkshire Dales.